Looking for the best online eyeglasses? You are in the right place! 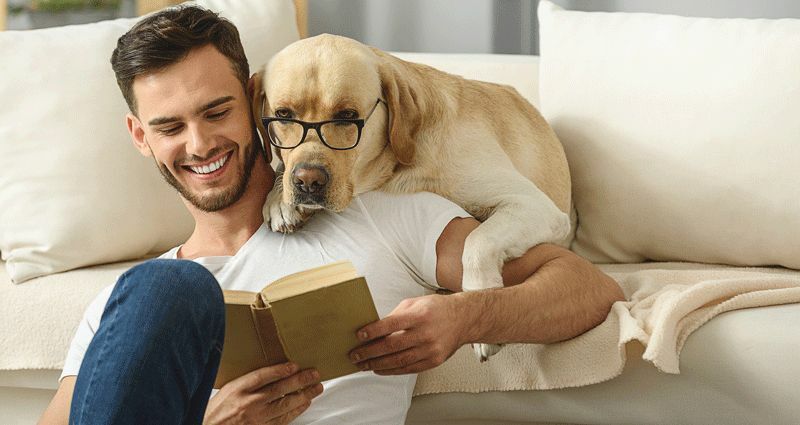 Eyeglasses have graduated from being just an ordinary piece of spectacles to a stylish fashion article – serving both contact wearers, professionals, and kids everywhere. Many glass stores have emerged with an assortment of products from prescription options to glasses to fashion frames to sunglasses. 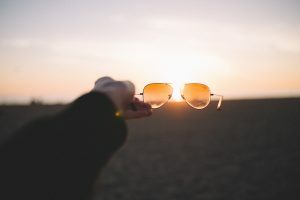 Some retailers carrying safety lenses and prescription sports goggles are also increasing as well as the number of people buying these glasses. Unfortunately, there are so many retailers online that it might become too tasking to choose where to buy your prescription glasses. If you have been buying online for a while, you know how painful it can be to find the best eyeglasses. This article will not only help you find the best places to buy eyeglasses but also help you choose one that both suits your style and facial structure. And the best part, you don’t have to leave the comfort of your home. Before deciding to purchase eyeglasses online, ask your doctor to provide an updated prescription for you so you can order based on that. This is even more important if you want to wear your glasses with prescription lenses. Try to get comprehensive eye exams like the glaucoma test or check for cornea damage. This can go a long way in helping you select the right glasses. Another important factor is to ensure there aren’t going to be any unexpected expenses – all costs should be spelled out before-hand. If you are getting lenses with your eyeglasses, you should check to see if there are additional costs for them. Some retailers offer lenses with single-vision options and include the cost of the lenses in the price while others like Coastal.com offer discounts when you purchase two pairs of glasses at once. Lenses usually have different pricing options depending on their functionality and appearance. For example, thinner lenses are more expensive. The thinner they are, the more expensive they can get. Some retailers offer transitional lenses that alternate between tinted and clear depending on the lighting situation. You can use a traditional lens as indoor glasses and sunglasses, although they may require additional fees. The other type is progressive lenses which are ideal if you looking for two prescriptions in one lens and don’t want distracting line across your visual field. These type of lenses get rid of distracting and unattractive lines across the lens, making them more expensive than traditional bifocal lenses. Since glasses are an accessory that you’ll be putting on every day, you may want to get the right pair that will go well with your style and facial structure. This means you should look for a brand that works best for you and be loyal to that brand. If you don’t want to wear neutral tones, then look for retailers that offer a great selection of both neutral frames and those with good color choices. There are also shape and style options to choose from. These are determined by the function you want and whether you want them to be fashionable. Shapes include round, oval, square, cat eye, and more and you can select based on vintage or modern styles. When you buy your glasses online, it’s not uncommon to pay 1/4th of the price you’ll pay to traditional retailers. Online stores such as Coastal.com, GlassesUSA.com, and EyeBuyDirect, have basic frames with standard air lenses starting at $19 with free shipping and returns, which about the cheapest you’ll pay for eyeglasses. Although there will be limited customer service options compare to buying from a brick-and-mortar store, the cheaper prices from online retailers and the ease of ordering for your desired glasses from the comfort of your home makes it worth to buy online. 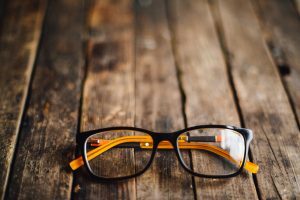 When ordering eyeglasses online, make sure your doctor check your vision to see if an updated prescription is necessary. It is also worthy of note to get your pupillary distance (P.D.) noted on your prescription – just remind your doctor to include this information if it’s not on your description – as that will help you get the right fit. Some frames may not work with your P.D. as the center of the lenses may be too wide or too narrow, which can be avoided once your description includes your P.D. Who Should Buy Eyeglasses Online? Many people now buy their glasses online. This includes kids, professionals, teens, and contact wearers so it doesn’t have to be only the patients suffering from astigmatism. If you are buying for you for kids, it’s important to note that kids often need more durable options since they most would jump, play, run, and even sleep in their glasses. Buying solid and robust glasses for the kids ensures that the glasses can withstand tasking physical activities. 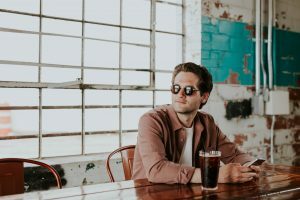 For teens, you’ll need more stylish glasses since they are more fashion conscious than kids and may want to buy glasses based on peer influence. Look at new technologies or try out alternative pairs. Are you are a professional? Then to spend more on glasses so as to get the specific look you want. If you are going to be wearing the same pair for years, don’t be afraid of going with big name brand frames and more expensive lenses. Or if you are a regular contact lens wearer, your primary aim is to correct your vision problems so getting one that’s effective in removing eye problems is important. You can look at reviews on the glasses and what people are saying so you know it’s for you or not. This is one of the cheapest online glass stores with a wealth of designer frames. Your first contact with the company is free or at a great discount. Not only are their prices affordable, but they have a whole lot of discounts and promo codes available. Coastal holds 22% thinner glass frames than other retailers and places a great emphasis on fashion. So, if you are fashion-inclined, you’ll find a good deal of options here. While they don’t have try-on like some other retailers on this list, they have a specific lens for different face shapes. The strength of this company is rooted in their excellent customer support, a factor that keeps attracting a significant number of customers to them. They are our top retailer for best online eyeglasses. This is the result of their deep discount code (to help you save on your first purchase) and their stellar customer relation (taking care of you while you spend your money with them). Warby Parker is one of the well-known places to buy glasses online. This popular online frame retailer has earned a lot of respect from customers, thanks to their spectacular marketing. They ask you a few questions like what your face type is, your preferred glass shape, color, material, and then offer you a handful of frames that you try for five days. Since you have multiple frames to go through, it’s easy to decide which one to go for based on your own nuances. And if you don’t like them, you can decide not to buy from them and your return will be free and stress-free. This try-at-home program allows you to choose which glass fit you in reality – no dreaming or virtual representation of how you look in the glasses. When you see one you like, they will send you based on your prescription while you send back the trial frames with their prepaid return shipping. Interestingly, every time you buy a pair of glasses, they donate a pair to someone who needs them but can afford them. This singular approach and their donation program have earned them a lot of appraisals which has seen them continue to grow and get more love from their customers – and those just finding out about them. However, they are not the cheapest, so if you are looking for budget glasses, you can try Coastal.com. But for high-quality glasses, Warby Parker is the way to go. Zenni Optical has a great selection of women and men’s glasses at a variety of styles at affordable prices. Their selections are so cheap you may not worry about replacement when they are lost or damage. Hence, buying a couple at one time has never been easier. This makes them a great option for kids since you don’t spend much on each pair of eyeglasses. You can order several pairs at a time to keep so you can easily replace them and not go through the stressful process again. They also have a nice selection of sunglasses if you intend going that route in the future. However, it is worthy to note that their most affordable designers are not as sturdy as the industry standards, although they are manageable and can take some beating. If budget is at the top of your priority, you will definitely find something with Zenni Optical. All you have to do is snap a shot of your face with their online tool to see how you look on the frames before ordering which you don’t find on many other retailers online. This online retailer has good options in frames for men and women as well as sunglasses, progressive, and computer glasses to reduce glare. You can find bifocals, progressive and even transition lenses in their inventory. When you order from EyeBuyDirect, you can wear the glasses for 14 days and return them if they are not a good fit for you. Their frame prices start at $6 and they hold different lenses at various prices such as single-vision lenses ($7), bifocal lenses ($29), and free-form progressive lenses ($49). They typically ship their glasses within 7-14 business days and you can request for free replacement in 14 days and a one-time replacement within 12 months. EyeBuyDirect also offers buy-one get-one-sales and other savings on their vast selection of frames and lenses. The good thing about this retailer is that they make it easy to select what you want while spending a reasonable amount to get what you want. Many customers have found their regular discounts, promo codes, and a variety of lens styles and frames and affordable prices have helped them select nice eyeglasses for their families. The founding members of 39DollarGlasses are eye doctors. So, you can expect high-quality descriptions found in brick-and-mortar stores at a fraction of the prices. 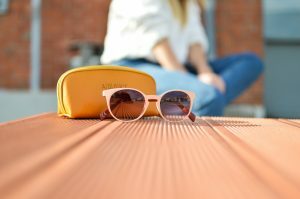 All their glasses are handcrafted in the US and they offer deep discounts with their glasses costing as little as $39, making them one of our preferred online glasses store. Their free returns policy makes it easy to return damaged glasses at no cost to you. They also have free shipping options available for qualifying orders, allowing you to save on your first purchase. And most importantly, they make glasses for kids, teens, and contact wearers and with their worry-free-warranty, it’s no surprise many users have clinch to them. The best way of doing that is to research the website rating from the Better Business Bureau (BBB) at bbb.org. 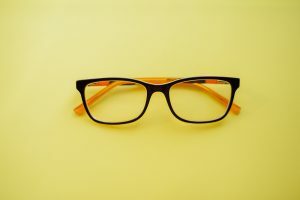 Some of the online retailers have managed to keep good rating like Coastal.com, Warby Parker, Zenni Optical, EyeBuyDirect, while others have only scooped up poor ratings including EZContacts.com, SVS Vision, EyeGlasses, and GlassesUSA.com. Most will also have reports on them, detailing the experiences of past users recommending whether to use this particular retailer or not and if there are alternatives to use. You can also search online through search engines with this phrase “company name + reviews/complaints” to see what people are saying about individual retailer before going with on. Both are important when you are buying from an online retailer since you’ll have to pay before receiving your items. Knowing beforehand that you can easily return or have the retailer remake the glasses when it’s not your fit will remove stress from the buying process. Terms like the cylinder, sphere, axis, toric, can really make ordering glasses complicated if this is your first time of buying one. For this reason, it is important to be intimate with what you are buying to avoid committing blunders when transferring data to the website. The best way of dealing with this is to discuss with your optician, so s(he) can prescribe the right glasses for you. You can also look for websites that ask you to upload your prescription, which can prevent errors when purchasing. It’s better to have your doctor recommend glasses for you, based on your comprehensive eye test than for you to make a purchasing decision based on your own intuition or research. When you test with your doctor, she should know which glass will suit you. In addition, if you are an astigmatic patient, you should order toric lenses, since they are all designed to relieve discomfort when wearing contact lens or glasses.